This score is Currently our Deal of the Week! Click here to save £10.00! Each of the movements of the symphony take as their starting point forms originating in music of the 16th and 17th centuries. The first, an intrada, introduces the main thematic material (based on the interval of a minor third) in its embryonic state. As the piece progresses, this material is developed and manipulated in a variety of ways. The interval of the third remains central to the overall scheme of the work, even unifying the three movements on a tonal plane (I: F (minor); II: A flat (major); III: C flat (minor). The internal structure of the intrada is an arch form: ABCBA, roughly modelled on the first movement of Concerto for Orchestra by Witold Lutoslawski, to whose memory the movement is dedicated. A chaconne follows – the basic material now transformed into expansive solo lines underpinned by a recurring sequence of five chords (again, a third apart). The movement’s structure combines both ternary form and golden section principles and the chaconne’s continuous cycle of chords may be visualised as circles. 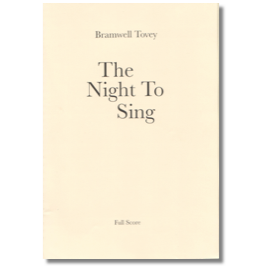 The final movement, a rondo, bears the dramatic weight of the entire work, as the underlying tonal tensions surface. A musical journey ensues, making diversions through lyrical territories as well as through more spiky, jazz-flavoured ones. The aural (and visual) montage is perhaps most apparent towards the climax of the piece, where three keys and polyrhythms sound simultaneously in the upper brass, xylophone, horns, and timpani. 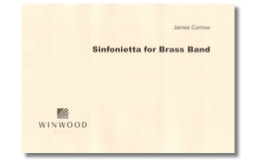 The climax itself combines the lyrical music heard earlier with the rondo theme, now presented by cornets and trombones in canon. The teleological thrust of the movement (if not the entire work) can be symbolized by the flight of an arrow, as it steers a predetermined course towards its target. The piece takes its inspiration from the VE Day celebrations of 1945. On 8 May 1945 the end of the war in Europe was celebrated in Great Britain. VE day (Victory in Europe day) gave rise to extraordinary public celebrations all over the country, from street parties to services of thanksgiving, to impromptu singing and community music-making. Contemporary reports mention Victorian ballads and Edwardian music hall songs, as well as the latest popular craze – the Conga. Festivities continued until dawn whereupon, finally surrendering to fatigue, the remnants of the crowd headed home on foot, long after the last bus. Some felt the celebrations to be inappropriate – much of Europe lay in ruins and war still raged in Asia. Almost everyone lamented the loss of somebody who had not survived. ‘Towers and Chimneys’ which is both heraldic and mysterious; ‘Churches: Lord of the Dance’ is an arrangement of the famous shaker melody made popular in Martin Shaw’s hymn of Jesus’ life and history; ‘Pastorale: Sunday Afternoon recalls those long and languorous days before television, and ‘Coronation Day Parade’ – a community celebration with a brass band at its centre. ‘Towers and Chimneys’ which is both heraldic and mysterious; ‘Churches: Lord of the Dance’ is an arrangement of the famous shaker melody made popular in Martin Shaw’s hymn of Jesus’ life and history; ‘Pastorale: Sunday Afternoon recalls those long and langorous days before television, and ‘Coronation Day Parade’ – a community celebration with a brass band at its centre. 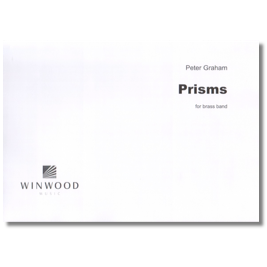 Dating from 1986 Prisms (Symphonic Study No. 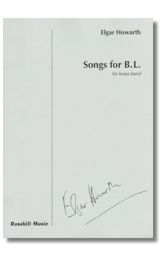 2 for Brass band) was extensively revised in 1988 to form the preent work. 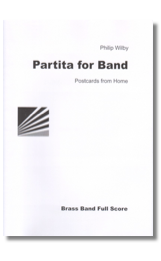 Though not programmatic as such, the work has its roots in traditional brass band music, being strongly melodic and adopting a broad ternary form. The main themes call all be traced to the fourth-based first subject, these offshoots drawing a parallel with light refraction – Prisms. 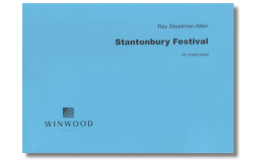 As well as the lyrical sections, much of the music is highly rhythmic, with a busy percussion section, and accesible and enjoyable to all. 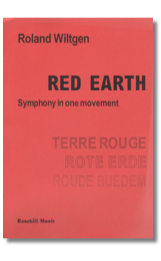 The structure of Red Earth contracts and summarizes the classical four-movement symphony (Allegro, Lento, Scherzo, Allegro) into one movement, where the final Allegro is a modified recapitulation of the opening section. The musical substance of the work derives from a four-note ‘motto’, whose various statements throughout the piece clarify the structure. 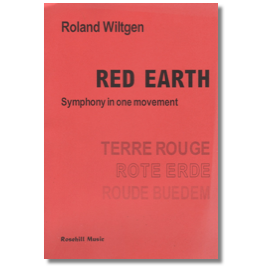 The title refers to the Luxemburg-born composer’s native soil – a land of forsaken iron mines, smelting factories, and metal workers. It takes a special ability to compose film scores which serve the images perfectly yet translate into first class concert music. William Walton was such a talent as the continuing popularity of his brilliantly evocative film music shows. This suite presents a rich, vivid musical tapestry with all the drama of the original captured to perfection. 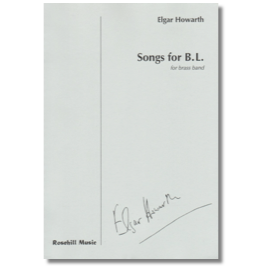 Winwood Music are delighted to bring this music from Laurence Olivier’s classic film to the brass band world in a fabulous arrangement by Edward Watson – so idiomatic that you’ll think this is the original version! 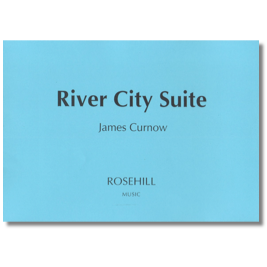 Commissioned by the River City Brass Band of Pittsburgh, Pennsylvania, in 1989 and consists of three movements. Though the movements are independent of each other and may even be performed separately, there are some melodic and harmonic relationships between them that serve to give the composion a feeling of unity. The movements are: Intrada, Hymn, and Alleluia. 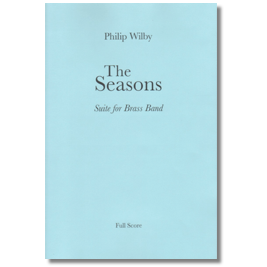 Composer Philip Wilby writes… “The music of this little suite of pieces traces the year’s change; from a cold, late autumn to an indoor winter; though a spring waltz to a final open-air march. My aim was to provide music which is both enjoyable to rehearse and perform but not forbiddingly difficult to play”. 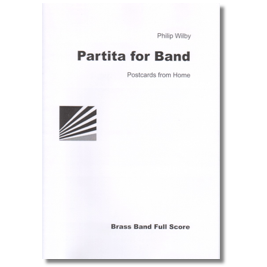 The work’s popularity among brass bands the world over suggests that he hit the nail on the head – audiences love it, too! Sinfonietta for Brass Band is basically a short symphony in three movements. The maestoso opening of the first movement introduces the melodic, harmonic, and rhythmic material from which the entire work is structured. The first movement, allegro vivace, is a brilliant capriccio built upon two contrasting melodic lines that are developed throughout the movement. The form is sonata-allegro and it creates an atmosphere of energy and drive. 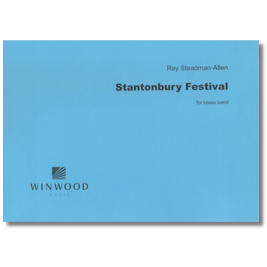 The percussion section opens the second movement and presents the underlying rhythmic ostinato on which this brief but expressive siciliano (pastorale) is developed. 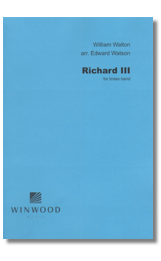 Movement three is a rollicking rondo that challenges the technical and rhythmic control of the whol;e ensemble. The brilliant closing fanfare is based on material which has been developed in all three movements. Songs for B.L. 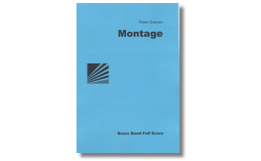 was commissioned by BBC North for the 1995 BBC Festival of Brass and first performed by the Eikanger/Bjorsvik Musiklag Band in February that year. 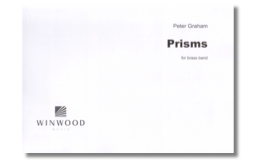 It was selected as the championship section test-piece for the 1995 National Brass Band Championships of Great Britain. 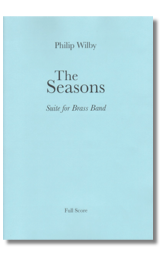 The piece is in seven sections: Romanza; First Scherzo; Ballad; March; Second Scherzo; Romanza reprise; Coda. 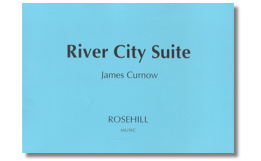 It is romantic but charged with highly chromatic harmony, and makes much use of chamber music textures. The work is dedicated to the composer’s wife, Mary. 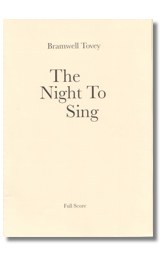 ‘The meaning of the title,’ says the composer, ‘is a secret, and will remain so’. 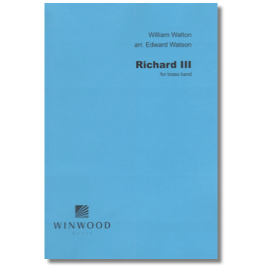 A three-movement suite in the composer's approachable style. Though not difficult to play the whole band is fully employed throughout making both rehearsal and performance exjoyable.